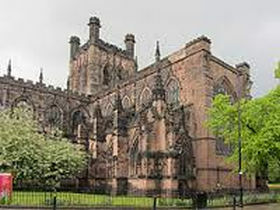 A Latvian antiques dealer who stole a 19th-century religious painting from the Chester Cathedral has been jailed for nine months, according to The Guardian reports writing LETA. The Raising Of Lazarus, an icon, worth about GBP 2,000, was stolen by Latvian artist and experienced restorer, Vasilijs Apilats, aged 61. Chester crown court heard Apilats stole the item not for greed but because he was besotted by such artwork and his actions were "akin to the instinct of a magpie". Apilats had denied stealing the icon, dating from about 1870, in August 2014. During his trial last year he professed his orthodox Christian faith and claimed he was offered it for sale by an unidentified man at the cathedral. Apilats claimed he had bought the painting for “restoration purposes” in good faith. Apilats was convicted by the jury of the theft. During the hunt for the painting officers searched the Cheshire home of the art collector and found the icon wrapped inside a bin bag and hidden among a haul of dozens of other religious artefacts. Apilats, was tracked down through his DNA from swabs taken from the easel that the painting had been screwed upon. After his conviction Apilats wrote an apology letter to the cathedral and the general public, begging for forgiveness. Apilats claimed he had been allowed to settle in the UK in 1990 after claiming he had to flee the Russian mafia over his antique deals in Latvia. Also, his solicitor, Peter Moss, said Apilats had a mental disorder. He claimed it was from ill-treatment suffered at the hands of the Russian mafia.